Laurie Huston from News the Heart is talking with author Linda Howe on her New book: Discover Your Soul’s Path through your Akasic Records: Taking your life from the Ordinary to the Extraordinary. Linda shares powerful tools, touching stories, and a step by step process to help you connect with your Akashic Record and change your life. She provides new insights into this mysterious realm of spiritual exploration, first popularized by Edgar Cayce (“The Sleeping Prophet”) for modern day seekers. Linda provides readers with unique ways to shift their consciousness, find healing and positively transform their lives from tapping into the vast, energetic library of the Akashic realm through her proprietary methodology for conscious access. Join us for this fascinating discussion! We’re Getting to the Heart of what Matters! 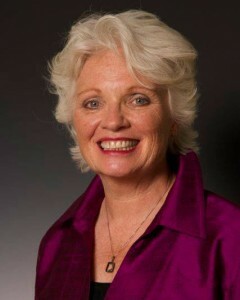 Linda Howe is a dynamic, award-winning author and one of the world’s foremost authorities on the Akashic Records. As the founder of the Linda Howe Center for Akashic Studies, she shares her inspired curriculum and new insights into this mysterious realm of spiritual exploration, first popularized by Edgar Cayce, for modern day seekers. Howe is the first person to make access to the Akashic Records available to everyone through her proprietary Pathway Prayer Process© so they may utilize the Records as a spiritual resource for personal empowerment and transformation. Her work is accessed globally through her popular on-line courses, books, workshops, personal consultations more. She has authored three bestselling book on the topic of Akashic Wisdom including- How to Read the Akashic Records (Sounds True, 2009), Healing Through the Akashic Records (Sounds True, 2011) and her most recent work published by Hay House Discover Your Soul’s Path Through the Akashic Records: Taking Your Life from Ordinary to ExtraOrdinary. For more info, visit www.LindaHowe.com. This entry was posted in Archives and tagged Akashic Records, Clearing and Healing Techniques, clearing energy, Host and Producer, Intuitive Counseling, intuitive counselor, Laurie Huston, Linda Howe, News for the Heart, News for the Heart Radio. Bookmark the permalink. 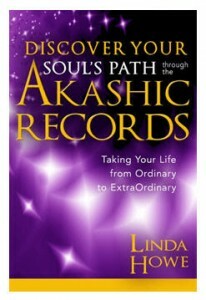 I’m going to be doing some more interviews with Linda on her excellent book and the Akashic Records.